If you could only have one herb, which herb would you choose? I am asked this question all the time. 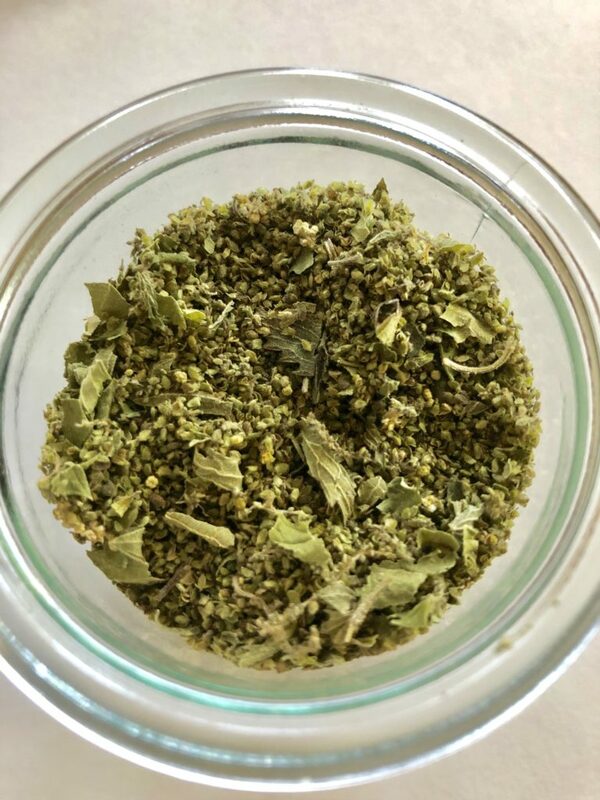 My first response is that I hope that it never comes down to me only having one herb available to me because I have a handful of herbs that I like to rotate in my diet and as my herbal support to keep us healthy. Almost always, the person who asks the question persists on an answer of me narrowing down to just one herb. My answer usually shocks the person when I do finally narrow it down to one herb and that being stinging nettle (Urtica dioica). Yes, the prickly, stingy, fierce and weedy nettle plant is the one plant that I would not want to live without. We use nettle in our our daily diet for easy access to vitamins and minerals. We also love nettle for its many culinary attributes in the kitchen. Nettle has many medicinal benefits and we use all parts of the plant including leaf, seed and root for making herbal remedies. In the garden, nettle is indispensable as a fertilizer, insecticide, and compost activator. On the farm, nettle’s uses don’t just end there. The farm animals also benefit from all the goodness of nettle as well. The biggest obstacle to using nettle, is the plant contains tiny hairs that release formic acid, an irritating substance, almost instantly when touched. This can cause what is referred to as a nettle sting and leaves skin irritated and sometimes a rash develops. The irritation and rash are usually short lived and do not cause an ongoing rash like poison ivy does. 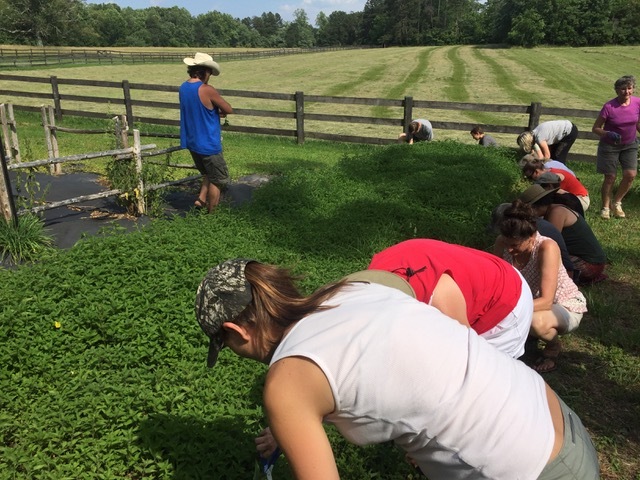 To avoid the nettle sting, we just wear long sleeves and gloves when we are handling fresh nettle plants. Interestingly, the nettle sting in some cultures is used for healing and has the official name of urtification, which is used to stimulate blood flow to the area. Urtification, or basically flogging a body area with fresh nettles, is commonly used to alleviate arthritis, rheumatism, sciatica, and peripheral neuropathy. The nettle plant is a wonderful mineral accumulator and taken on a regular basis as a tonic provides optimum nourishment. Nettle leaves & stalks are high in calcium, magnesium, trace minerals, chlorophyll, chromium, cobalt, iron, phosphorus, potassium, zinc, copper, sulphur, niacin, protein, manganese, selenium, vitamin C complex, vitamin D & K, B complexes, riboflavin and carotenes. Dried nettle leaves made into a nourishing herbal infusion are the number one thing that I encourage every person to do to improve their overall health. 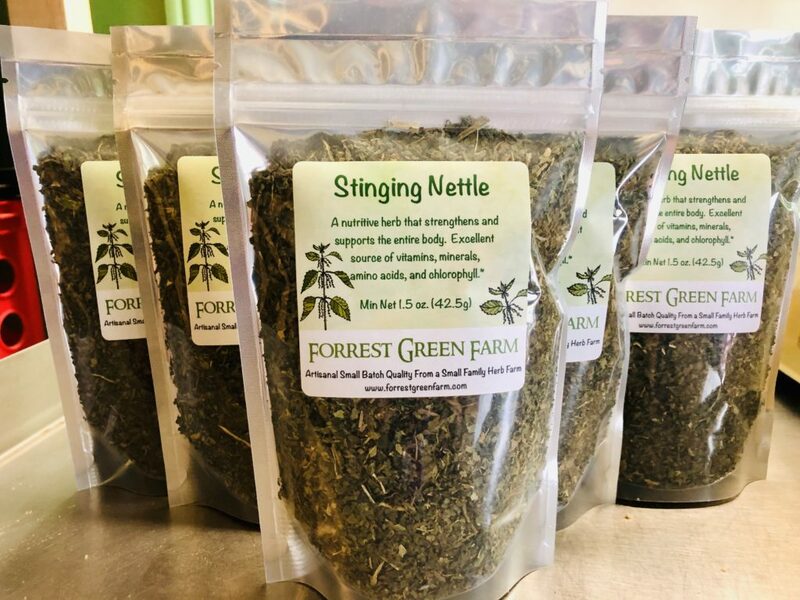 In fact, nettle is the prime ingredient in our best selling Daily Wellness Tea that we have been selling for over 10 years now at Forrest Green Farm. I have seen it help incredibly improve the health of hundreds of people in our classes and customers. 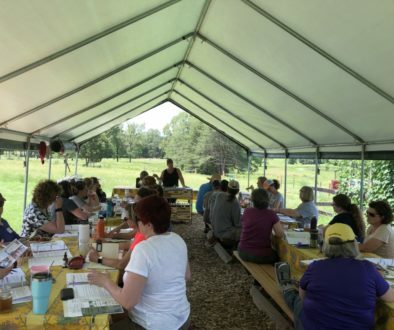 When people come to the farm looking for a “magic” herbal fix, I always recommend Daily Wellness Nourishing Herbal Infusions as the beginning point in their journey back to better health. 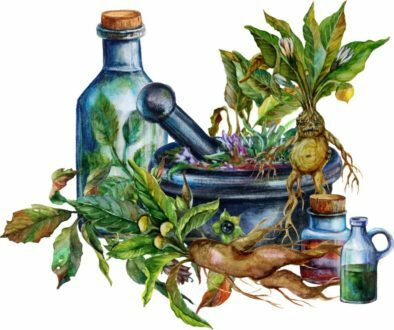 I of course do not believe that there is one magic herbal remedy for anything. It is all about diet, exercise and living in balance to find a road to optimum health. 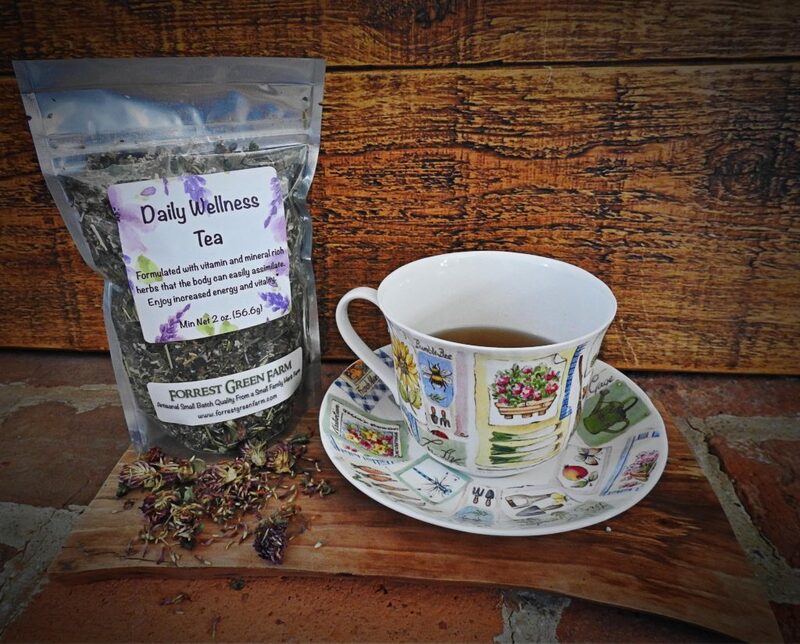 Daily Wellness Tea is full of great nutrition in a form that is easy to uptake and is a wonderful way to get people feeling better and full of energy to start making the necessary changes to improve their health. To learn more about Nourishing Herbal Infusions check out our blog post “Nourishing Herbal Infusions”. Nettle is a plant that is grown all over the world and in many countries is considered an important nutritious potherb full of protein for the daily diet. I love to cook with nettles! I use it in recipes in replacement of cooked spinach. 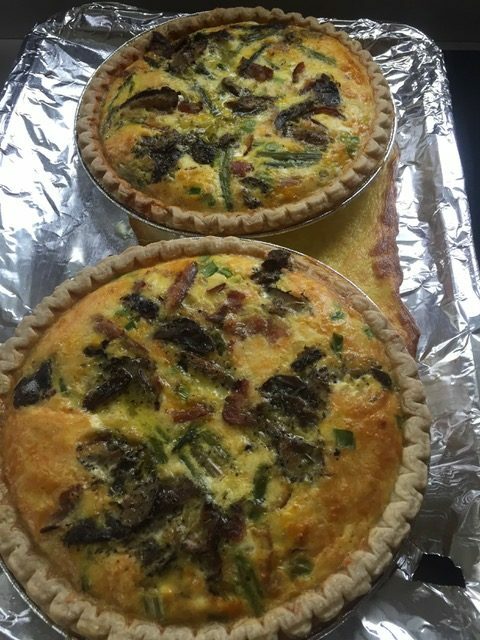 My favorite things to make with nettles are quiche, soup, pesto, stir fry, nettle infused vinegar, and use nettle seeds as a seasoning/topping on recipes. 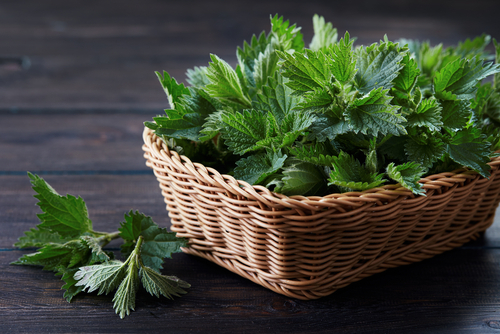 Medicinally, I prefer think of nettles as a tonic that improves overall body functioning by supplying a powerhouse of easily accessible proteins and nutrients to the body. Other specific medicinal properties of nettles is that it is a kidney and adrenal restorative, diuretic, blood purifier, astringent, anti-inflammatory, vulnerary (helps body to heal wounds by promoting cell growth and repair), hormone balancer, and a natural antihistamine. Nettle is considered generally safe for children and adults. Nettle is often used or added to formulas for allergies, anemia/blood deficiency, sluggish thyroid, a restoring adrenals tonic, arthritis, rheumatism, growing pains in children, nourishment for pregnancy and breast feeding, menopausal support, nourishment and kidney tonic after chemotherapy, overall general kidney tonic, and for gout. Nettle seed and root is stronger medicine than nettle leaf with the seed often being used for rebuilding adrenals and the root for male prostrate problems. Energetically, as a flower essence, nettle is used to help with decision making. Clears up brain fog and aids in making clear and concise decisions. Promotes a grounded feeling when you start to get overwhelmed. Nettle flower essence also aids in healing from unresolved trauma. Chickens- nettle seeds stimulate laying capacity of hens (add to feed)and as a nutritional boost by feeding fresh nettles that have been wilted for a day. Note that chickens can feel the nettle sting when they scratch, so they won’t eat it until the hairs have wilted on the plant. Nettle is high in carotenoids, especially lutein and B carotene which in turn results in extra yellow/orange yolk coloring. Dairy cows & sheep – stimulate milk production – in winter add small amounts of dried nettle to feed. Geese – fodder for young geese. Dog and cats- make a powder from dried herb and add to the animal’s food or make dog/cat treats occasionally for boosted nutrition, shiny coat, kidney support and prevent rheumatic conditions. Make a Nourishing Herbal Infusion of nettle leaf and leave in the bowl for the pet to drink. What they don’t drink after a day can be used to water in plants to give them a boost. Always supply an additional bowl of regular water for the animal as well. They will use their keen instincts to choose if they need the nettle. Nettle nutrition doesn’t end with food as medicine just for humans. Many of the same benefits can be beneficial for plants when made into a homemade fertilizer for the plants. Guess what? The homemade garden formulas for plant food and plant insecticide are much cheaper and healthier than similar preparations that you can purchase at garden centers. Pour boiling water over the fresh nettles and let steep overnight. Foliar feed- strain the nettle and add 3 Tablespoons nettle plant food to 2 cups water and spray on plants. Root Feed – Pour 1 cup (leaves and all) around the base of a plant and let decompose into the soil and feed the plant. Nettle Insecticide As an insecticide for powdery mildew, fungal diseases, aphids, mites, and other pests, dilute 4 ounces of strained nettle plant food with 1 quart of water and add 1 teaspoon of liquid soap (to help it stick to the leaves). Spray on plants. Repeat every 7 days, as needed. Fill bucket 1/3 full with nettle leaves and stalks. Add water until bucket is full. Let this mixture steep for 3 days to a week. Stir in a circular pattern each day. Be sure to put a cloth cover over or lid because gnats are drawn to it. Strain the mixture through cheesecloth or a fine sieve. This is now your tea. To use, dilute the tea to half strength. It can be sprayed onto the plants as a foliar feed or just watered into the base of the plants. Combine the herbs and put into hot water as recommended above. Mix well. Let standfor at least 3 days. To use, make holes in the soil/heap of your compost pile. Pour liquid (no need to strain) activator in each hole and cover. It will start to work immediately! Nettle plants can be part of an integrated pest management plan (IPM) for the organic gardener. Nettle plants are a primary food source for caterpillars/butterflies and bees which are great pollinators in the garden. Ladybugs use nettle plants as a prime destination to lay their eggs and their larvae eat aphids, white fly and spider mites in the garden. Nettle can be started from seed, divisions, or from nursery plant starts. It is very important to take time to think about your placement of a nettle patch. Nettle, when happy, will spread much like a mint patch. Interesting fact, many people think that nettle is in the mint family because of its very noticeable square stems. When in fact, nettles belongs to the Urticaceae plant family. Since nettle plants have this stinging effect on skin, it is important to place your nettle patch in an area that will not get a lot of traffic flow. I have found that nettles naturalizes nicely on the edge of the woods in a semi-moist location. 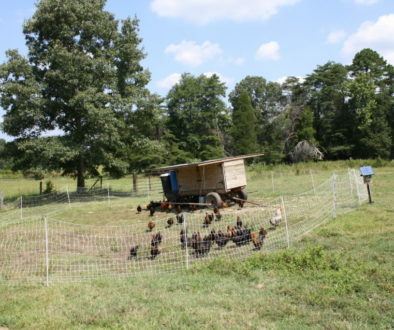 If you don’t have that option and you want to place it in your yard, I suggest making a small bed of nettles that you can run your lawn mower around. This will allow you to keep the nettles from spreading all over your yard. If you want to start nettle from seed, take note that it is a light dependent germinator. You will need to place seeds on top of the soil and gently water or press them into the soil but do not cover them up as they need light to begin the germination process. They usually take up to 3 weeks to germinate. If you have a friend with a nettle patch, it is super easy to take root divisions to begin a new nettle patch for yourself. In the early spring, dig up a small section of nettle and divide it into small plantings (wearing gloves to avoid the nettle sting), and replant these into a prepared bed. Plant your nettle root divisions about 12 to 15 inches apart. They will quickly fill in the bed! Nettles will form a dense planting that will outcompete weeds. If you want to start with young nursery plants, we have fresh starts available each spring at Forrest Green Farm. Honestly, nettle grows just about anywhere. However, for the healthiest and most productive plants it is best to place nettle plants in full to partial sun in soil that is full of organic matter. Water nettle during dry spells to keep it happy and leaves tender. There is no way to make harvesting nettle sound enjoyable. The leaves sting and you just have to best prepare yourself to avoid having the leaves, flowers, roots and seeds directly touch your skin. Wear gloves, long sleeved shirts, jeans and boots for the best protection. It really isn’t that bad if you come prepared for the harvest. The nutritional gold that you obtain from your harvest is well worth the effort. Begin harvesting leaves early in the spring when the first growth of the season reaches about 15 to 18 inches tall. These fresh young supple leaves make the best spring tonic full of nutrition and energy. Water the freshly harvested plants in after making any harvests and they will quickly regrow some more fresh leaves that you can again harvest in just a few weeks. We continue this process above for a total of 3 spring cuttings of nettle leaf. After our third cutting of the nettle plant from early spring into the start of summer, we then allow the plants to grow to their full growth producing flowers (which aren’t very noticeable) and seeds. When the little flower threads (covered in fluffy green pompoms) droops heavily towards the stem, it is ready to be harvested. The seeds will be fat, fluffy and vivid green. Once you have harvested the seeds that you want from your nettle patch, then it is time to cut the whole patch down. Why? Well, if you don’t cut the patch down and the seeds ripen, they will be spread all over your yard from the wind and birds. Then you will have baby nettle plants coming up all over. We originally started cutting our nettle patch down to stop the spread of these nettle seeds on our farm as it we found it coming up in other gardens and even our fields. What we learned is that by cutting the mature plants down in about late August in our area, that we were actually making the plants much healthier. 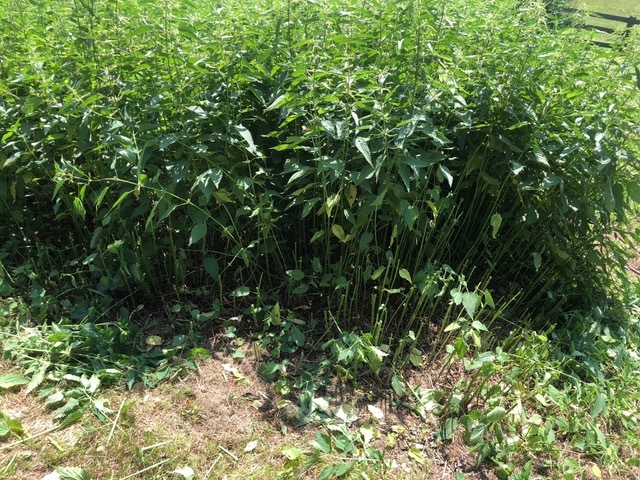 We just run the lawn mover over our nettle patch or you could use a weedeater if that works better for you. We leave the chopped up nettle pieces behind and water them into the patch thoroughly. This then feeds the nettle patch back with its own nutritive benefits. In about 3 weeks or so your nettle patch will begin to put out brand new leaf growth again. This new growth is never as nice as the spring growth, but can allow you some fresh greens for making food recipes. We don’t recommend drying this fall grown nettle for teas as it isn’t nearly as nice as the spring plants. 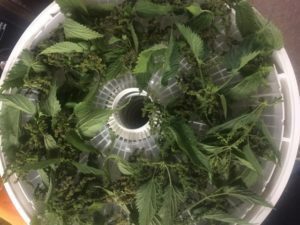 Air drying Nettle is very high protein plant and high protein plants mold very easily. So it is important to harvest nettle when the leaves are dry (usually late morning to early afternoon) and group your nettle leaves into small bundles of 8-10 stems for hang drying. 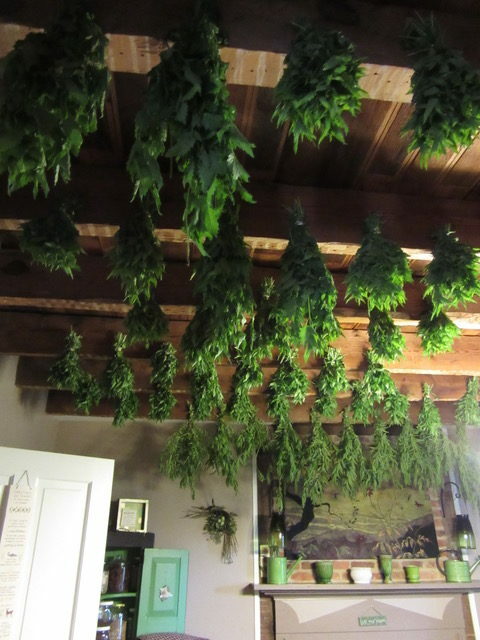 We hang our nettle bunches up on hooks from our wood beamed ceiling and leave plenty of airflow between the bundles. We sometimes run a fan to increase airflow. The goal is obtaining a nice green leaf color which is done by drying the bundles quickly. You want the plants fully dried, which usually takes about 4 days or so of air drying but will really depend on your individual atmosphere for drying before processing them for long term storage. The best way to tell if the plants are fully dried is that the leaves will feel dry to touch and break off the stems easily. You can then rub the dried tops over a screen allowing the dried pieces of leaves to pass through and the stems to remain on top of the screen. The dried leaves will be cut up and sifted through the screen to the container that you have below. This will be much like the cut and sifted nettle that you can purchase online. For best longterm storage, store your dried nettle leaves in a glass jar or airtight storage away from heat and light. Screen Drying If you have a drying rack, nettles dries nicely on the screens with fans providing airflow over the nettle leaves. Just be sure to not overcrowd the stems on the rack due to the high protein mentioned above. Electric Dehydrator Nettle leaves can be dried on a dehydrator with the temperature at 100 degrees. First pull off the individual leaves and place on the dehydrator trays. Dry for about 6 -8 hours but know this time really varies based on the moisture content in the plants and the type of dehydrator. Once you harvest the nettle seeds, they dry best in a dehydrator. Lay them out on the clear fruit roll up sheets that can be purchased with most dehydrators. Dry at about 100 degrees and once dried allow them to fully cool before placing in a glass jar for long term storage. Nettle roots grow in a mat and will be full of dirt when you dig them up. Using pruning shears, cut roots into workable sections and rinse them thoroughly with a hose to remove the dirt and mud. Once they are cleaned, cut them up into small pieces and dry them at 110 degrees for a few days, check them daily until they are fully dried. Store in an airtight container for long term storage. Nettle is a plant that has so many beneficial uses! It can easily be added as a Nourishing Herbal Infusion tea into everyones daily diet to promote overall health and energy. For anyone wishing to be more sustainable, nettle is the perfect plant to grow because it has numerous uses around the homestead. Here is a final thought on nettles, maybe nettle stings because it is telling us to stop, recognize it and know that it is here in abundance for our use.